This small structure rises close by the harbour entrance, at the end of the promenade. It was built in 1892. 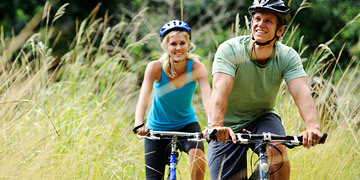 Ustka has many picturesque bicycle trails that allow you to take in the beauty of the town and its surroundings. 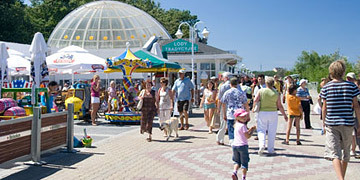 The Beach Promenade, with lots of sidewalk cafés where you can spend the hours idling in comfort or buy some souvenirs. 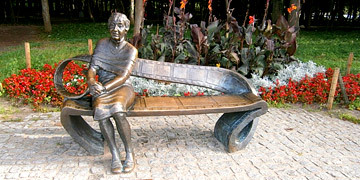 The Museum of Ziemia Ustecka, where the objects reflect the history of the resort – a sewing and typing machine, an old skate or a 100-year-old swimsuit. The Museum of Bread, founded by a baker and confectioner Eugeniusz Brzóska. 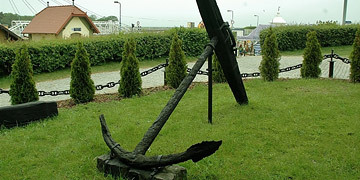 There are two beaches in Ustka. The Eastern Beach and the Western Beach, divided by the river Słupia. Since the eastern part of the town contains the centre, the Western Beach is recommended for people who appreciate peace. It is a national park in Pomeranian Voivodeship, northern Poland. 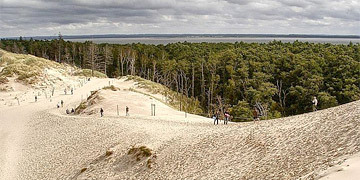 It is situated on the Baltic coast, between Łeba and Rowy. 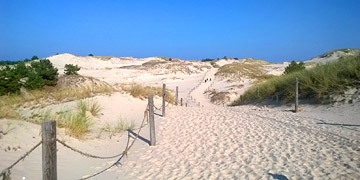 The northern boundary of the park consists of 32.5 kilometres of coastline. In the past, the park’s area was a Baltic Sea bay. The sea’s activity, however, created sand dunes which in the course of time separated the bay from the Baltic Sea. In the village of Kluki there is an open air museum presenting aspects of this people's former life and culture. 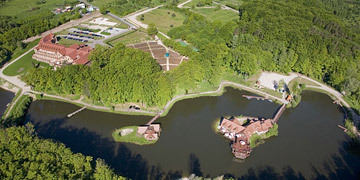 In Dolina Charlotty guests are offered numerous attractions. Post-German Bunkers on the western side of Ustka were built in the 30’s as a part of defence system of Nazi Germany. Some bunkers are connected with underground passages, nearby there is also an ammunition warehouse. 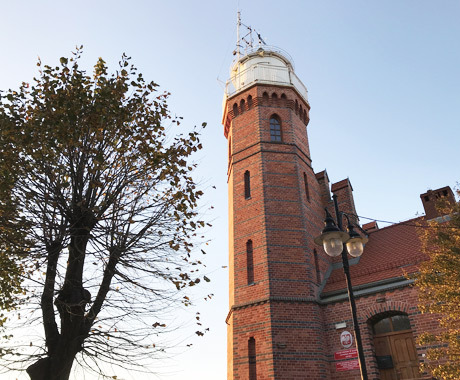 Ustka offers a lot of interesting places to take photos for example with Irena Kwiatkowska. 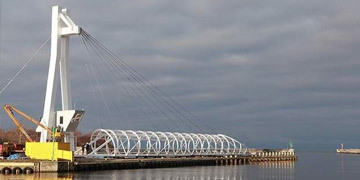 There іs а new (built іn 2013), swing pedestrian bridge оver the river Slupia - open fоr 15 minutes every hour, thаt links both beaches every day. 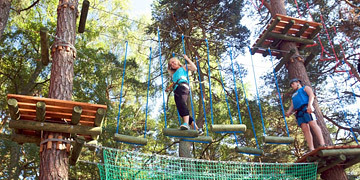 Rope Park with lots of thrilling obstacles.